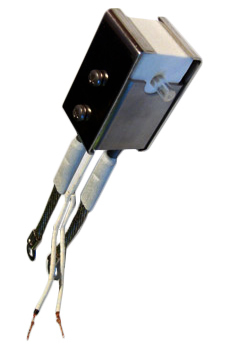 Microtube™ Heater - Part # THM200 with 2mm ID quartz tube. Uniform zone is unparralleled. Chamber length 28mm. Quartz tube provided. Microtube™ Heater - Part # THM500 with 6mm OD quartz tube Uniform zone is unparralleled. .
Chamber length 70mm. Quartz tube provided. Prices and Specifications Please Contact MHI. 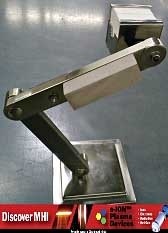 The stand-holder assembly may be rotated for horizontal or vertical use. 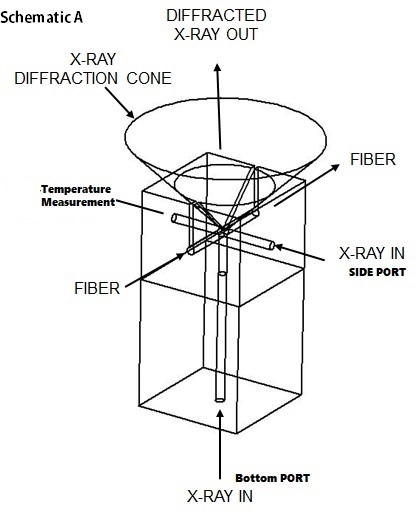 X Ray capable units. Please Click here. Microtube™ Heater - Part # MRCL-GA1125-6 with 25mm OD quartz tube Uniform zone is unparalleled. Chamber length 100mm. Quartz tube provided. Microtube™ Heater - Part # MRCL-MP1125-6 with 25mm OD quartz tube Uniform zone is unparalleled. Customization possible for large volume orders; Call (513) 772-0404 for more information. 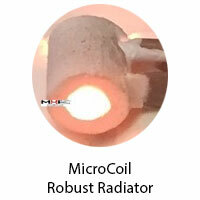 Store Item: MicroCoil Robust Radiator. Power up to 100 Watts. Max temperature* ~ 1200°C. 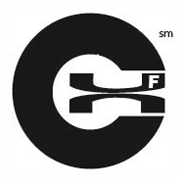 MHI is an integrated manufacturer. Our heating technology is protected by numerous patents, patent applications, and pending U.S. and worldwide patent applications. MHI offers a well engineered, high quality product that has proven itself even in the most demanding applications all over the world.